This year Laura Mercier Summer 2014 Colour Story : New Attitude Collection key message for this collection is "Take chances, be impulsive and express the true you with this adventurous colour collection from Laura Mercier". It's time to step outside your own boundaries. Leave your comfort zone. Take risks, be brave. 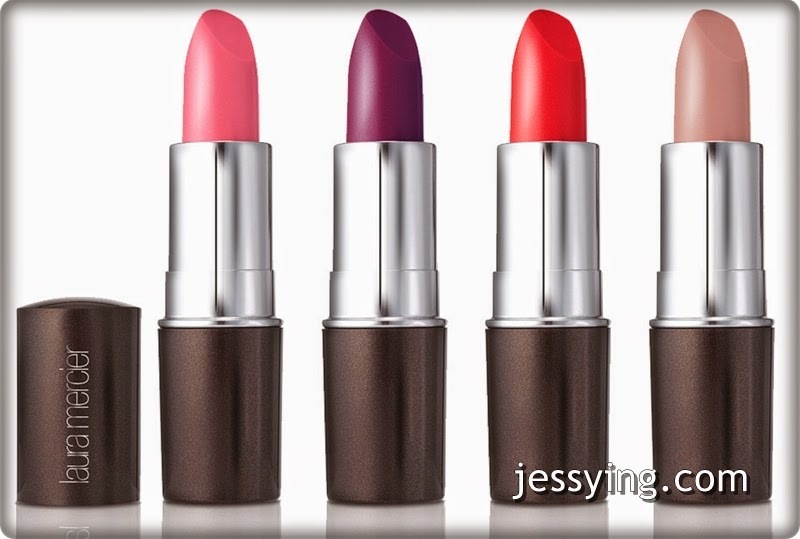 Have fun with this adventurous colour collection where lips are vibrantly colourful. Nails get daring. Eyes have attitude. Surprise yourself with bold blues, playful teals and on-trend purple. Take chances , be impulsive and express the true you. 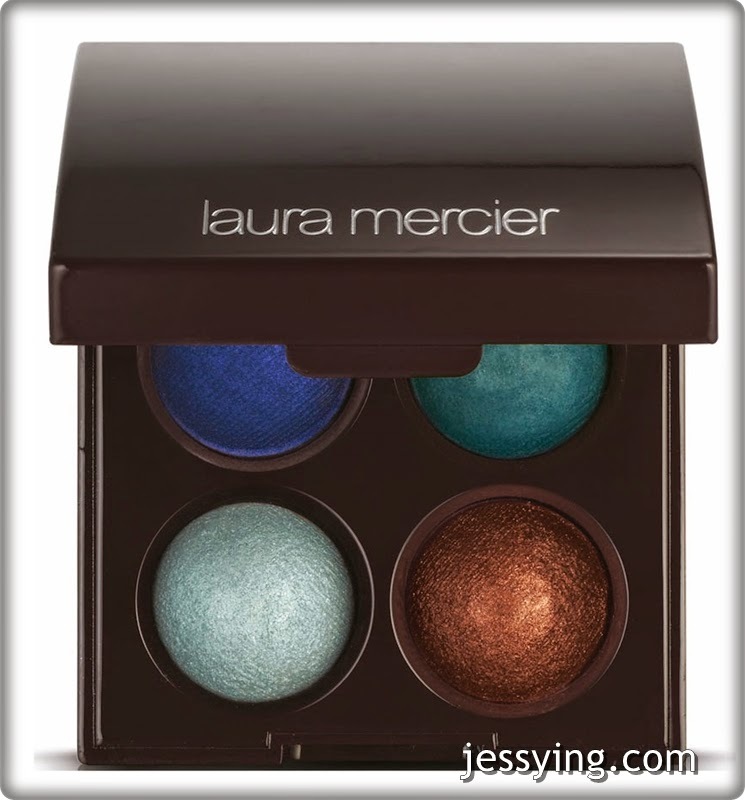 Teal is a limited edition colour while Violet is an existing colour that Laura Mercier repromoting. Model is wearing Foundation Primer, Smooth Finish Foundation Powder in 06, Secret Camouflage in SC-2, High Coverage Concealer in 2, Secret Brightening Powder in #1, Eye Canvas in EC-, Baked Eye Colour Quad in Summer in St. Tropez, Tease from Rendezvous in Monte Carlo, Longwear Creme Eye Pencil in Violet, Sheer Cream Colour in Golden Pink, Gel Lip Colour in Flushed, Faux Lash Mascara in Black. Begin every makeup application with Laura's Flawless Face. 2. Sweep Baked Eye Colour in Wild from lash line to brow bone, fading upward and outward for a winged effect. 4. Add Baked Eye Colour in Tease to inner corner and along bottom lash line using the Corner Eye Colour Brush. 5. Apply Longwear Creme Eye Pencil in Violet along top lash line. 6. Finish with Faux Lash Mascara in Black, applying to top and bottom lashes. For a natural glow, apply Sheer Creme Colour in Golden Pink to highpoints of face (cheekbones, center of nose, brow bone) using fingertips. Softly apply Gel Lip Colour in Flushes to lips for a neutral look. Laura Mercier Summer 2014 Colour Story : New Attitude Collection is already available in all Laura Mercier's counters.